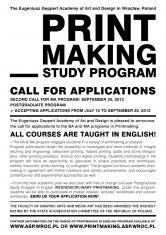 Below you can find information concerning printmaking study programs in English at The Eugeniusz Geppert Academy of Fine Art and Design in Wroclaw, Faculty of Graphic Arts and Media Art. Please share this information with students and graduates and everyone who may be interested in taking part in our programs. 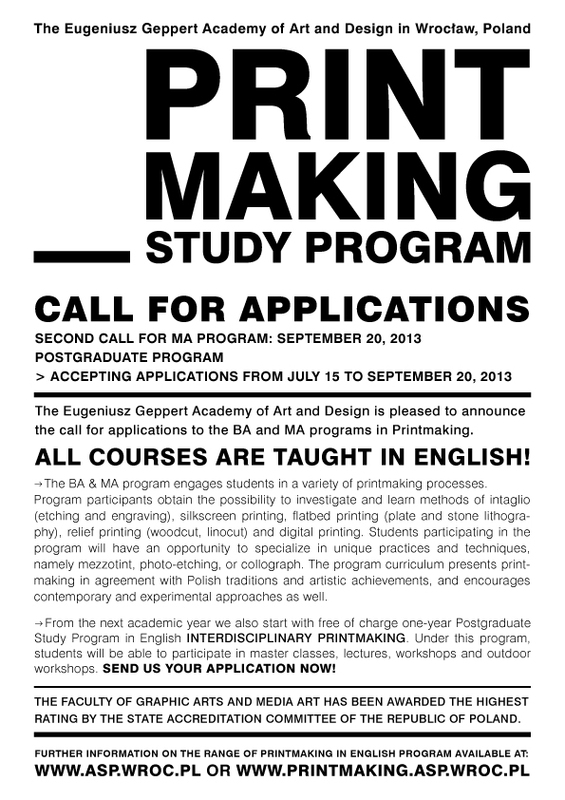 The Eugeniusz Geppert Academy of Art and Design is pleased to announce the call for applications for INTERDISCIPLINARY PRINTMAKING , a free of charge one-year postgraduate study program in English. This study program is co-financed by the European Union from the European Social Fund under The Human Capital Operational Programme. Under this program students will be able to participate in master classes, lectures, workshops and summer outdoor one-week workshop in Grafikens Hus (an international center for fine art printmaking) in Mariefred, Sweden. 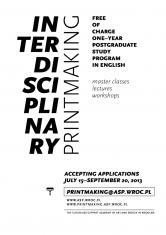 For additional information please contact with Zuzanna Dyrda, printmaking@asp.wroc.pl. 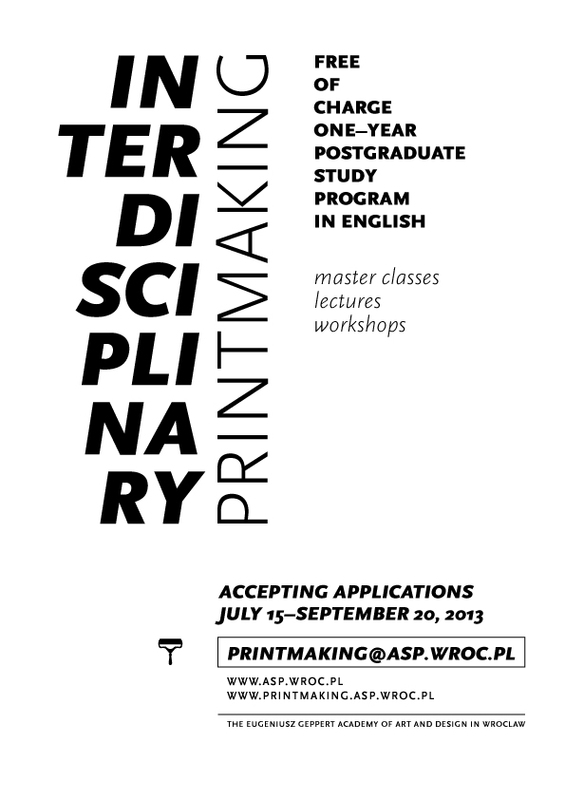 Let me also remind about second call for MA in Printmaking study program: September 20, 2013.